NECA has released images and details for a massive new series of collectibles. 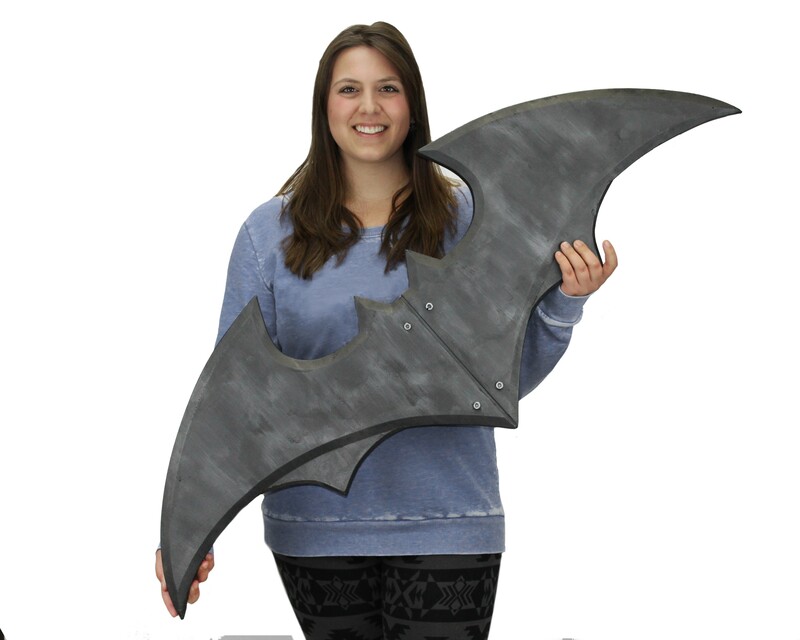 They are producing huge foam versions of popular comic book items. One of the first ones they have revealed is a massive DC Comics – Batman’s Batarang. The oversized Batarang ships out in June. See a couple of photos after the jump. 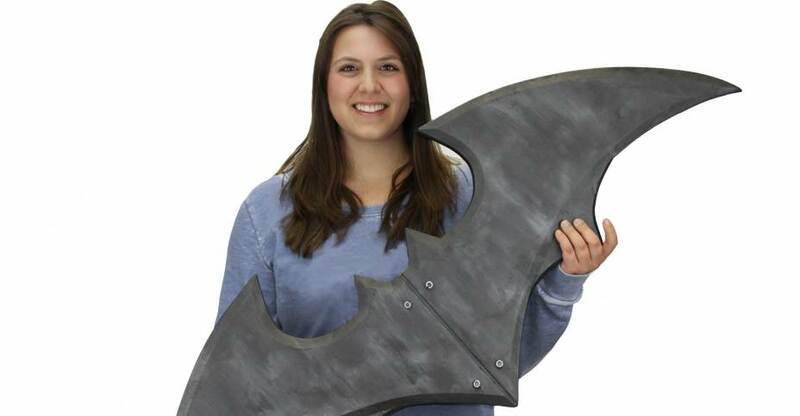 The batarang I could possibly see as maybe being a wall piece, something to display. The giant mjolnir however is just plain silly. 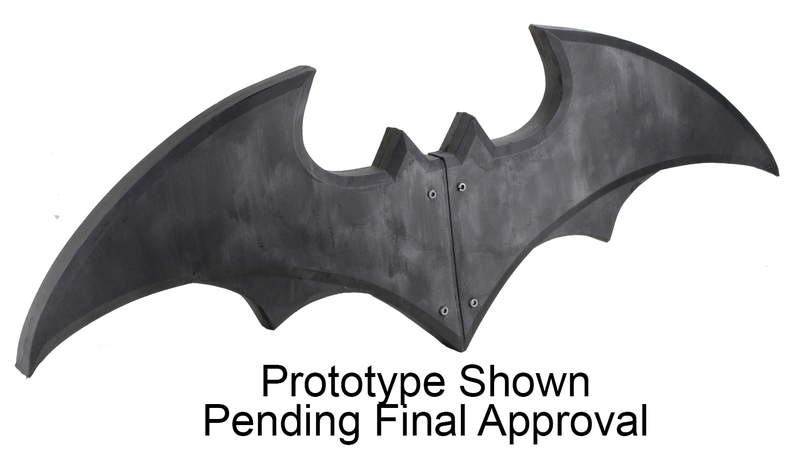 Would be cooler if these just a 1:1 LARPing weapons (the Batarangs would have to be sold in a three-pack or something). But I would imagine NECA doesn't have the license to do such things. Tape that to a search light and you get a life sized bat symbol. Interesting... I didn't know Wayne was a Klingon name.